When Mormons celebrate Mother’s Day, they often take some time to honor one of history’s most important mothers as well. Mary, the mother of Jesus had a very difficult role in life and one that affected eternity through her faith. Mormons believe that Jesus Christ is the Son of God and of Mary. 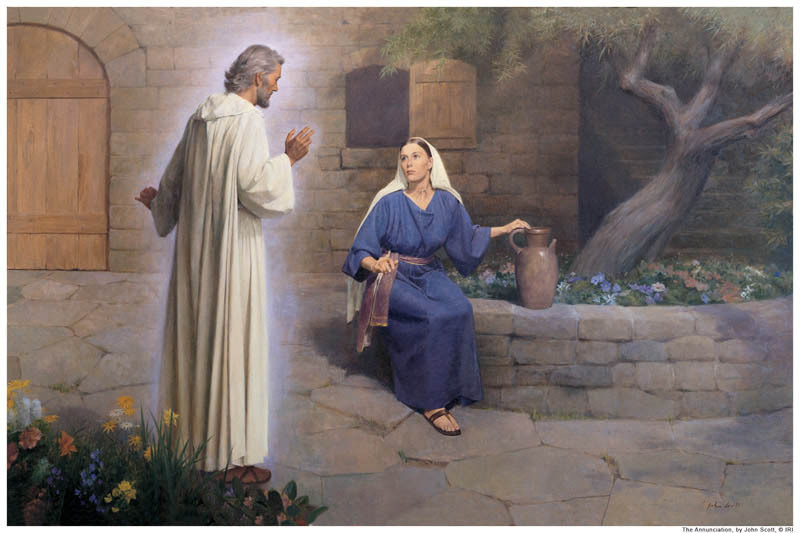 Despite prevailing gossip, they do not believe this occurred through intimacy because both the Bible and the Book of Mormon say Mary was a virgin when Jesus was born. They also do not believe the Holy Ghost is Jesus’ father, since the Bible specifically says the Lord’s Father is God. Although Mormons do not know how the conception occurred, it is not important since it does not impact eternal life. They know only that it was done respectfully. Mormons believe Jesus Christ’s duel heritage—both mortal and divine—are essential to His eternal mission as the Savior. Because of His mortality, He was able to experience those things mortals experienced, but because of His divinity, He was able to live a sinless life, atone for the sins of others, and be resurrected from the dead. Mary was chosen by God to be the mother of Jesus Christ. It was a calling, a sacred responsibility to raise the Son of God. She had to accept a miracle in her life and then cope with the mortal consequences of the miracle. Joseph initially was upset over her pregnancy, until he learned of its miraculous purpose. He had a choice, but he chose to obey the angel’s command and marry Mary. He had an important responsibility to be a foster parent to Jesus, providing a male role model and fulfilling the role of an earthly father. Mary carried out her instructions with courage and grace. She and Joseph obeyed every prompting and commandment in order to ensure the prophecies were fulfilled and Jesus was kept safe. It is clear she and Joseph were both spiritual beings, well-suited for their divinely appointed role. The people of the Book of Mormon knew of Mary, even though they lived in what is now the Americas. Their prophets saw her in a vision and knew she would be a virgin mother and that God had chosen her for the role. They honored her even before she was born and waiting eagerly for the birth of her child. 20 And I looked and beheld the virgin again, bearing a child in her arms (1 Nephi 11).